Hamlin was in 3rd place as they took the white flag at Martinsville Speedway. At the front, Joey Logano put a target on the back bumper of Truex heading into the final corner. Truex skated up the track, stepped on the gas and the two leaders banged doors all the way to the finish line. Fender pieces went flying as a place in the championship round was up for grabs. Meanwhile, Hamlin was coming to steal a win. He looked inside of Logano but came up less than a car length short of the win at his home race track. 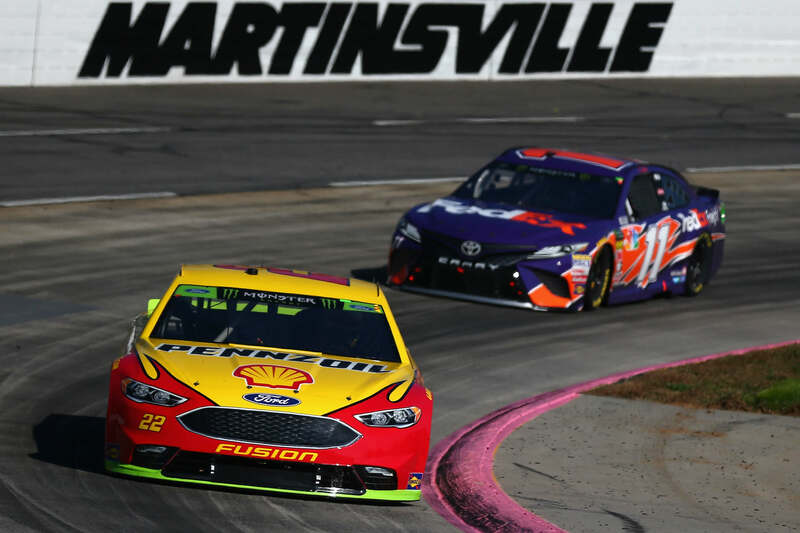 “Just crash harder, that was all I was hoping,” Hamlin referred to his hopes after he came off turn four at Martinsville Speedway. Hamlin has been a player in the bump and run. In fact, he’s been on the giving end of the move at this same race track. 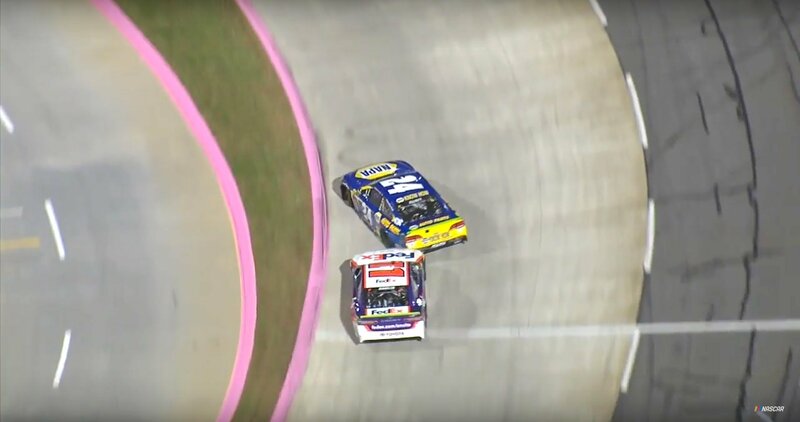 In 2017, Hamlin out the bumper to Chase Elliott in the closing laps of the same race. However, Elliott was fighting a loose condition under braking. As he got to the bumper, a light touch was all it took to send Elliott toward the fence. What did you think of the move at the end by Joey Logano? By that, Hamlin means that you can’t get into the leader when he’s giving you an entire groove. Logano moved up the track and left the primary groove wide open for Truex. But, it wasn’t working out for Joey as Truex nosed ahead at the line.